Concentrated toilet acid cleaner that is safe to use on stainless steel. 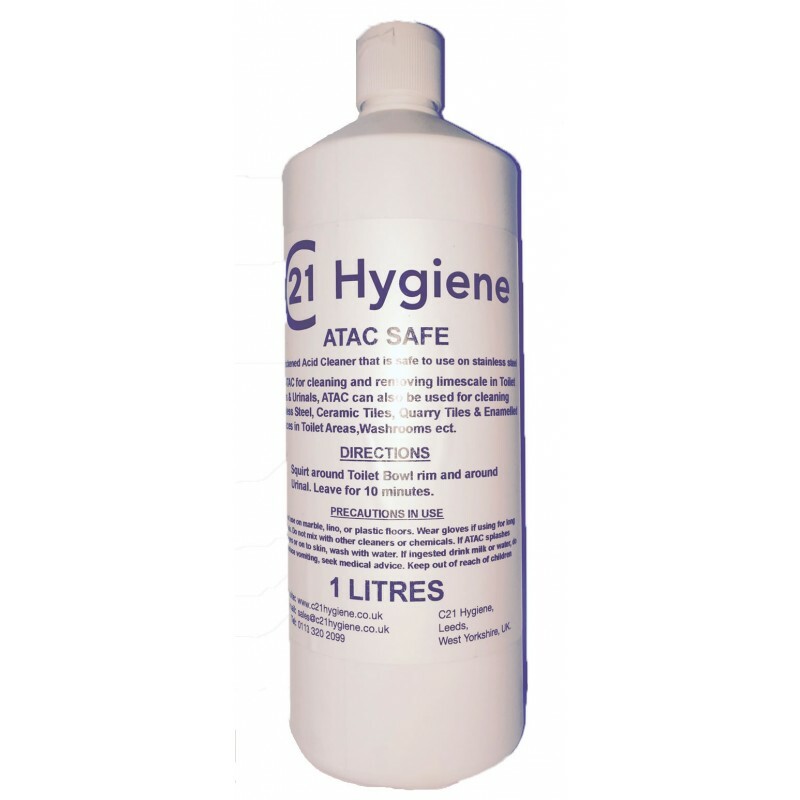 ATAC for cleaning and removing lime scale in toilets and urinals. 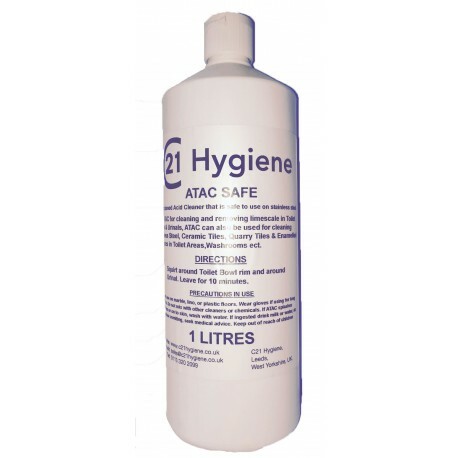 ATAC can also be used for cleaning stainless steel, ceramic tiles, quarry tiles & enamel tiles in toilet areas and washrooms etc.